Based in Red Bluff, California, PJ Helicopters has been providing rotary-wing services since 1971. 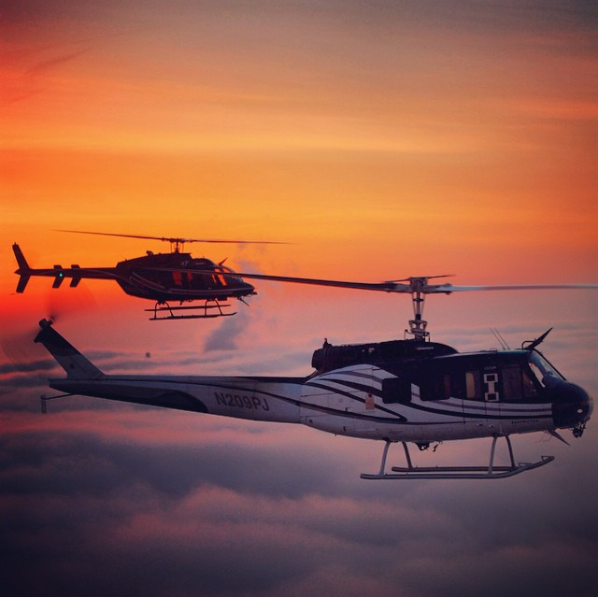 Its mixed fleet includes Bell JetRangers, LongRangers, Hueys, 214s, and 407s; MD 520Ns and 530Fs; Airbus AS350B3s; and PJH Utility Hawks; performing a variety of services in utility, construction, agriculture, law enforcement, and other industries. A forward-thinking company that continues to be an early adopter of VHA blades, PJ Helicopters obtained its first Sikorsky UH-60A Blackhawk in 2015, and now has seven Blackhawks converted to Restricted Category Type Certificated PJH Utility Hawks for use in utility and firefighting work. The availability of PJH Utility Hawks has made many positive impacts in the community. For example, in February 2017, two PJH Utility Hawks assisted in emergency repairs on a dam in Oroville, Calif., delivering and placing more than 300,000 pounds of crushed rock in 4,500-lb bags in less than two hours. PJ has been flying VHA tail rotor blades on its Hueys, JetRangers and LongRangers since the blades were first available. PJ recently timed out its first set of 206 tail rotor blades — serial numbers 24 and 25 (we’re up over 3,000 blades now!). While not yet flying VHA main rotor blades, PJ anticipates ordering a set of LongRanger mains when their blades time out in 2019. The PJ family of companies also includes a fixed-wing division—PJ Air—and a drone operations division called PJ UAS. More than 100 people work for the PJ Helicopters and its sister companies, including more than 70 pilots, mechanics and fuel truck drivers. In addition to maintaining its own fleet of aircraft and helicopters, including performing UH-60 conversions, PJ is also an authorized service center for both Bell and MD helicopters. The company has also established an ongoing “Going Green” effort to reduce waste and carbon footprint, including use of the EnviroTanker mobile fuel system during remote operations and recycling of batteries, fuel, oil, ropes, filters, and other scrap materials.